FORT GEORGE G. MEADE, Md. -- The newly formed, full-time Army National Guard cyber unit, Task Force Echo, activated under control of Army Cyber this week. 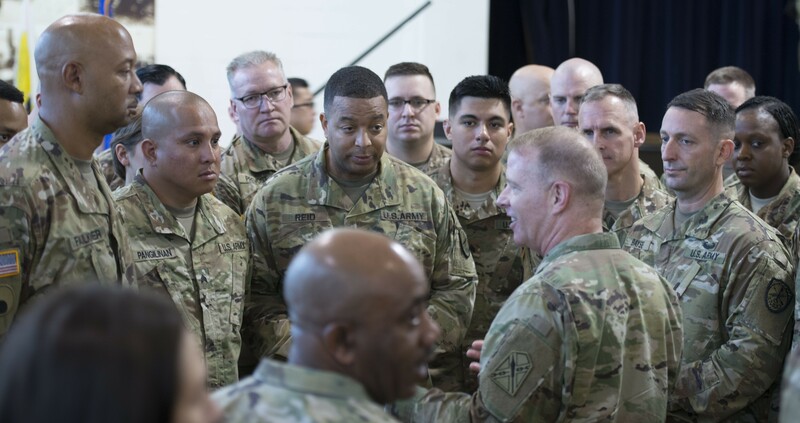 The event marked the largest mobilization of reserve-component forces for a cyber unit in support of U.S. Cyber Command. TF Echo consists of 138 National Guard members from seven states and highlights the total Army's capability and focus to support cyber operations and carry out defense of the Army network. 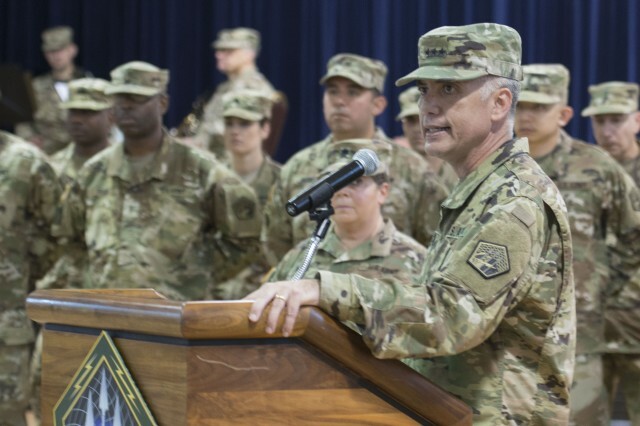 "This is truly an important formation as we take a look at what we anticipate will be a total force mission," said Lt. Gen. Paul Nakasone, commander of Army Cyber Command during a transition-of-authority ceremony Tuesday morning. 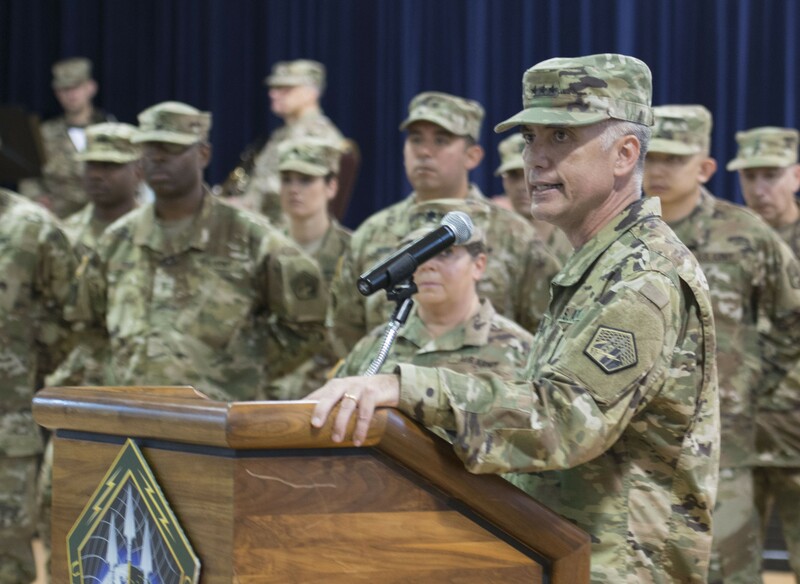 "The Soldiers of the 169th Cyber Protection Team and Task Force Echo will bring unique and diverse talents to this increasingly complex phase." The Guard recruited Soldiers from California, Georgia, Michigan, Indiana, Utah, Ohio and Virginia for their skills and experience in systems and cybersecurity. The Soldiers were mobilized for 400 days and will fall under the 780th Military Intelligence Brigade during their active duty. The TF Echo Soldiers are drawn from a wide palette of civilian sector skillsets that include experience in government cybersecurity to expertise in information technology. The Soldiers range in rank from junior enlisted to warrant officers and field grade officers. TF Echo will provide critical support for U.S. Cyber Command to carry out cyberspace operations against adversaries. TF Echo takes over and dramatically expands the role originally pioneered by 169th Cyber Protection Team: to engineer, operate and maintain critical network infrastructure. "This is a large and concerted effort to gather forces from a wider area," said Col. Adam Volant, Task Force Echo commander. 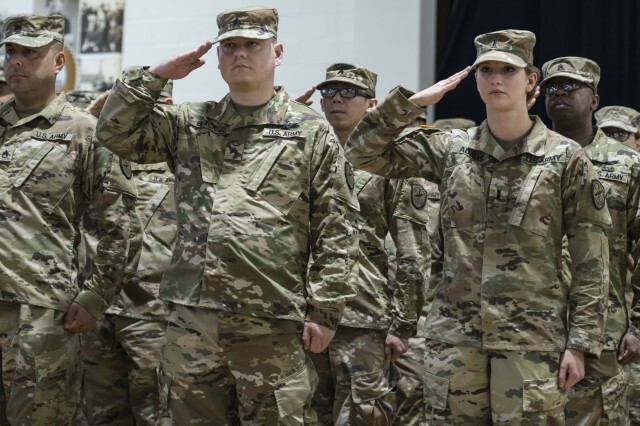 Since the first National Guard members first began arriving in April, they have participated in training so secretive their commander could not delve into specifics. The Soldiers of TF Echo first mobilized through Fort Bragg, North Carolina, before arriving at Fort Meade. 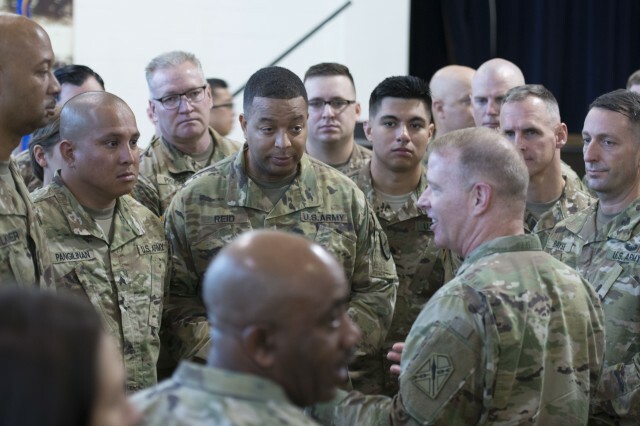 Members of the 169th Cyber Protection Team spent four months training TF Echo members before the 169th's Soldiers returned to their home units. Volant said the collection of Soldiers brings closer an initiative Army leaders have been pushing for. "It would be emblematic of what we've talked about for a long time, but is really difficult to achieve: this idea of total force," Volant said. "We are military trained, but we also bring an abundant amount of experience from the private sector, from government (and) from academia. The Soldiers in my formation are really information technology professionals. They work for major defense companies. They work for the government. They work for all the major brands that do technology and cyber. We're drawing upon those sets of experiences in bringing them into a military environment to weigh upon the problems presented here." Chief Warrant Officer 2 Joshua Adams served as a senior principal engineer for a software communications company before coming aboard TF Echo and has 15 years of experience in the Signal Corps. First Lt. Margo Adams acts as a quality engineer at a major aerospace defense company when not on active duty. Another TF Echo member, Capt. Steve Whipkey, has nine years of information technology experience and currently works as a senior security specialist for an electric utility company in Washington, D.C.
Volant said the Guard faced great difficulty in finding the right Soldiers with the necessary credentials, experience and training. A meticulous screening process was used to select the Soldiers for TF Echo. "Our Soldiers come from a professional arena in which they understand cyber at some level or certainly understand IT," Volant said. "But the reality is, in a military cyber defensive or cyberspace operations -- (it's) much different. It's not something that they're going to see in their regular job. So they get an exposure and a professional opportunity to develop those skills and learn new things I think are extremely valuable." About 40 private industry companies had representatives in attendance during Tuesday's change-of-authority ceremony, Volant said. Virginia Gov. Terry McAuliffe, Army National Guard director Lt. Gen. Timothy Kadavy, and adjutant general of Virginia Maj. Gen. Timothy Williams also attended.